Unbelievable, but the speech below was written in 1899! 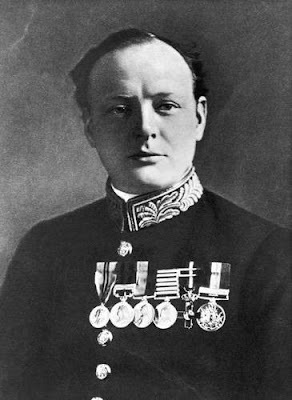 (check Wikipedia - The River War)I am sending the attached short speech from Winston Churchill, delivered by him in 1899 when he was a young soldier and journalist. It probably sets out the current views of many but expressed in the wonderful Churchillian turn of phrase and use of the English language, of which he was a past master. Sir Winston Churchill was, without doubt, one of the greatest men of the late 19th and 20th centuries. He was a brave young soldier, a brilliant journalist, an extraordinary politician and statesman, a great war leader and Prime Minister, to whom the Western world must be forever in his debt. He was a prophet in his own time; He died on 24 January 1965, at the grand old age of 90 and, after a lifetime of service to his country, was accorded a State funeral.